Here is where you will find our latest announcements and updates that we feel are important to share not only with our current licensees, but also with anyone and everyone who holds an interest in Optimal Media and it's NightOut business opportunity. We believe communication with our network is vital in maintaining success. 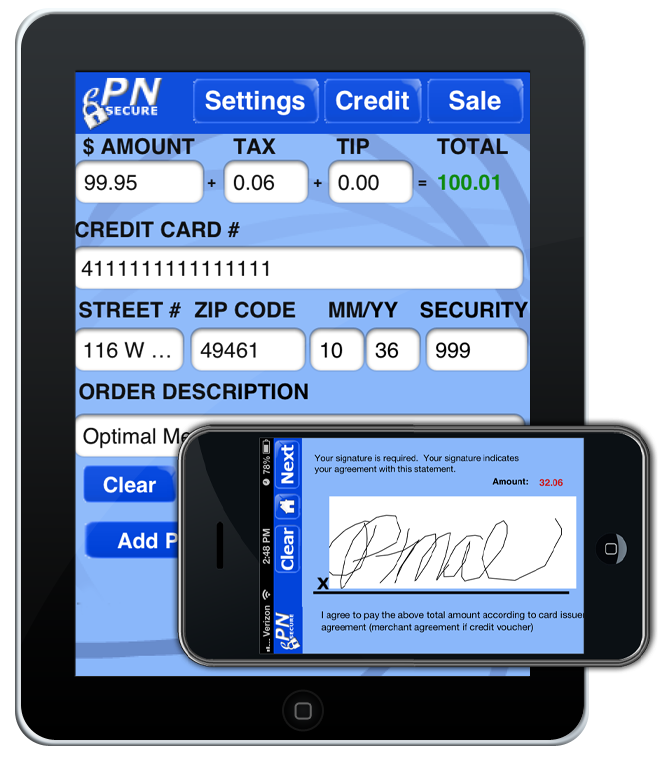 Optimal Order will provide even more revenue to your pocket, provide added value to advertisers, and convenience for customers. 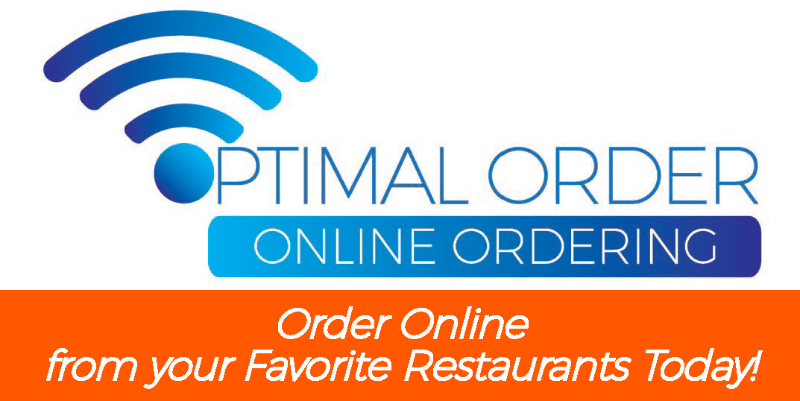 Optimal Order is online food ordering for delivery and take out. Using an average restaurant's January sales average of $1390.65 online orders per month would generate $41.72 in revenue. Ten restaurants would generate $417.20 a month in net profit. If you sign up 10 a month for 10 months that would be $4,172 per month in passive residual income. The more businesses you sign up, the more revenue you will earn. Optimal Order provides extra advertising value to restaurant owners. 30% higher ticket average. Why is this? People do not feel rushed to finish their order like they do with phone orders and they can see the total so they spend their complete budget on the meal. 11% increase in re-orders. If it is easy and convenient for them to order they will order again more often then phone orders. There is NO RISK for the advertiser. They only pay if the service is being used. This makes it easier for you to sign them up and keep them as a customer. So to summarize, your advertiser will receive more revenue more frequently at NO RISK. How to get started earning with Optimal Order? Go to www.optimalmedia.net and fill in your contact information. We will contact you to provide more information about Optimal Order and the NightOut Website Business. You can also reply to this email or call us at 877-525-5775. It is important to plan your day of sales calls everyday. Putting together a mapped out route will save you time and money. You only have a couple of time slots during the day that are best to reach business owners, and if you are spending that time driving all across town, you are going to lose important time that you could be spending talking to more business owners. Many companies like delivery companies and service companies put a lot of thought into planning the most efficient routes to save time and fuel and we all should do the same. 1) Map it out either on Mapquest or a different tool. 2) Make sure addresses are correct. 3) Plan in clusters so you aren't going across town. 4) Factor in things like traffic and construction. 5) Try to make as many right turns as possible. The best times to visit a restaurant is either before the lunch rush or in between lunch and dinner. Bars open at different times. Some are open for lunch, and some are open in the evening so you will want to check on opening times. We do not recommend calling the businesses before you go in. I know it's tempting to try and schedule a time to meet with the owner, however, you will have far greater success if you meet with them in person. You should do some research on the businesses before you visit. Check to see if they have a website, a Facebook page, or any other advertising online. This will give you a better understanding of their needs. You can also find out more about their business like what food they serve, unique things that they may be proud of, their hours and maybe even the owners name. Finding the owners name is a great way to get past the gate keeper. They figure if you know the owner's name then you know them or have already met with them. I like to go to the businesses Facebook page, if they have one, and post their free profile link there and also send them a short message introducing NightOut to them. I wouldn't try to sell to them this way. This is just to get your name in front of them. You can maybe say something like, "Contact me for more information on posting your events and specials for your business." Take the time to plan a route and research. You will end up being more successful on your sales calls and you will save time and money. Copyright © 2013 Optimal Media, All rights reserved. Staying positive and having a good attitude is one of the most important things in sales. If you are excited and positive about what you are selling, then you will pass that excitement onto the business owner. Part of being a great salesperson is knowing how to deal with rejection and continuing on with that same excitement. Find the things that motivate and drive you. Write down everything that is great about what you are selling and read it when you get loaded down with objections. We tend to focus on the negative things that we are told. We have to train ourselves to focus on the people that like us and like our product. Celebrate your successes and reward yourself. Let us know of your accomplishments. We love to hear about the great things everyone is doing. Share your achievements with other licensees to help motivate each other. Remember to listen to their needs. Go into the business with the thought in your mind that you are there to help them grow their business. The main point to your business is to help businesses gain more customers. Focus on their needs and not what's in it for you. Once they see that you are there for them, then you are more likely to close the sale. It is easy to go on and on about how great your website and your business is because it is. However, you need to focus on your customer and listen to them. Try to watch their expressions and their body language. You can usually tell when they are thinking about something else or if they don't have time. If you are aware of this, you can change your sales presentation to better suit them. If they look like they have zoned out, then ask them a question or bring up something that may get their attention. If they look like they have a million things going on, then go over just the main points or schedule a better time for them. Ask them about their business and get to know them. What advertising do you use now? What are your busy and slow days? Do you have a website? How long have you been in business? You need to know what would most benefit them. People buy from people that they like and trust. I have always believed that once someone likes you and knows that you are reliable they are more likely to become your client. If you get to know them and their business, they realize you are genuinely there to help them. Look for things that may interest them. Pictures of family or trips they have taken. Or possibly the way they have designed their restaurant. You will see their face light up when you get them talking about something they love. This will also help you get over being nervous or uneasy. You have broken the ice and you know more about them. Ways to get them to trust you is pretty simple. If you tell them you will do something always follow through. If you schedule a meeting or say you will email them something, make sure that you do that. As soon as you don't follow up with something, the value of your product went down in their minds. I wanted to thank everyone that is involved with the training calls with me. I am glad to help everyone grow their business. I have been very impressed with all of the great work that everyone is doing. If you ever need anything just let me know. I love to hear success stories so let me know what you have going on. What is a marketing plan and why is it important to the success of your business? A marketing plan is an outline of strategies to persuade people in your community to go to and use your NightOut website on a regular basis. It is critical to become well known in your community to have a successful NightOut website business. If you create and follow through with a successful marketing plan you will see an increase in your site's traffic which will ultimately lead to your success. First, you need to determine your target market. What age group and what type of people? I would recommend to grow where you know. If you never go to nightclubs and bars then don’t target that market. Go to events that you would enjoy. One great advantage to this business is you can have fun with it and involve your friends and family. Next, you need to analyze your competition. List all of the differences between your business and their business. There is always going to be competitors and that is good. You can use your competitors to set yourself apart and use it as a selling tool. Some of your competitors would be newspapers, community magazines, and other website directories. Now you can list out exactly how you would like to market your business. I do not recommend spending large amounts of money. A billboard would be great but there are less expensive and more effective ways to advertise. The most creative ideas to advertise end up having the best results. I knew a real estate agent that got tired of all of the normal, boring ways to advertise. So since he loved to go to baseball games he decided to bring a bag full of his business cards. Whenever everyone would get up to cheer he would throw a hand full of business cards into the crowd around him. He actually got a lot of business from this. That was what he was known for. People thought it was funny and creative so they called him. There are many ways to market your site. Here are some of the things I recommend. Create a press release for your new business and send it to newspapers, radio stations and TV news stations. We did this with my plumbing business and we got so many calls. We even wrote a letter to the editor about an issue in the community and people would stop us to talk about it. Stay away from controversial subjects though. You can join the Chamber of Commerce or marketing group like BNI. Find a charity that you care about to volunteer and get to know people in your community. We decided to sell Christmas Trees one year for Blue Santa and marketed our business at the same time and got several great jobs and met a lot of great people. Find events to set up a booth and hand out marketing material like business cards, shirts, pens and cozies. Post upcoming events onto your site, facebook and Craigslist. Link the event on Facebook and Craigslist back to your NightOut site. Find a photographer to work with to take pictures at events and hand out “Find Yourself” cards in exchange for advertisement on your site. Go to colleges or high traffic areas and post flyers about an event and NightOut. Creating an exact plan for marketing your business is very important and following it is essential but you also need to know when to change something. Track what is working and what isn’t and change it. Remember to ask people to subscribe to the site. It is important to have a well developed contact list. Advertisers want proof that people are following and using the site. You can sell advertisement for the newsletter or even highlight one of your advertisers in a newsletter. A newsletter is a great way to keep your subscribers informed about local events. I recommend Mail Chimp which is a free newsletter builder for the first 2,000 contacts. We can also download a template to your account if you are interested. We now have a Media Kit, Pricing template, Advertising Agreement and a sample 1099 for contract employees available. Go to your Admin panel under "Sales and Marketing" you can click on "Sales Kit" and "Request Media Kit". Having a Media Kit to bring with you to sales meetings is very helpful. You can print the media kit out in color and laminate it. If you have a laptop or IPad you can use it present the media kit and show them the website. Need help with SEO and traffic? I am here to help you develop a clear and effective way to help you with SEO. Optimal Media already does many things to help you with SEO like our code, title tags, sitemaps and we link all the NightOut sites together. When I started researching this subject I became very overwhelmed with the many differing opinions out there about SEO. I have gathered the most important things for you to do that doesn't take a lot of time or money. Developing your site with unique and information-rich content is so important. This will help with adding great keywords that those tiny spiders are searching for when someone types in a what they are searching for. Great content will also help you keep users coming back to the site and staying on your site longer. Users know good content when they see it and they will share it with others. Give your visitors the information they are looking for and you will see the results. One thing that I found that I did wrong is copy and paste information from other sites. Adding valuable and unique information is important because Google tries hard to show pages with distinct information. I also recommend getting rid of any duplicate profiles. Things to avoid- misspelling and grammatical errors, large amounts of text (separate into paragraphs), keyword stuffing, Flash players and I Frames and duplicate information. Linking your site on other websites and having back-links on your site is very useful. The more links that you have on other reputable websites the better. Work with other websites in your area to make this happen. This could include Chamber of Commerce, your city website, visitor guides, Craigslist and much more. You can work with many websites to link their site as well. Never pay to have this done. A back-link is linking from your site to another page on your site to help your users quickly go to what they are looking for. An example is to put a slide ad up on the home page that says "Check out our Dining Specials" then you can put a link to your dining page. Try to limit the amount of links that take the user away from your site. You want to keep the visitor on your site longer and you want all of the information they need on your site. I have done this before. I would find a site with a lot of information about an event. Instead of creating new content on my site, I would just put the link to the better site. This is a big mistake. If you do this you become the middle man for information. Why would they come back if they get more information from other websites? Things to avoid- Linking away from site, paying for links and having links on non-reputable websites. Using your Hot Topics Blog is a great way to have valuable information and add keywords to your site. I recommend using the blog for upcoming events in your community. Think about what information you would want to know about, research it and write your blog. You can also use your blog to feature some of your best advertisers for a cost. Having quality content on your blog is important. Like I said before, don't link to other sites and don't just copy and paste. Link the event listing to your blog so they can get more information. Have fun with it and make it your own. The calender of events and specials is what sets your site apart from your competition so use it. Encourage your advertisers to post as many specials and events as possible. This is the best way for your client to receive the most benefit from advertising with you. Follow up with them regularly to see if they need anything and if they are posting on the calender. If they still don't offer to post their events for them. You also need to be posting events on your calender to make sure there are events for everyday. You can change the order from 255 to 1-5 to make events show up under Upcoming Events. One thing that I read everywhere when researching about SEO was to offer services that no other site had. The calender is a great service to the users so this needs to be one of your top priorities. Your site should be known as the place to go to find out information about everything to do in your city. Using keywords is necessary. This should be done naturally when you add content but it is important to be aware of some of your top keywords and be sure to use them. Google has a keyword tool that you can use Keyword Tool. Type in a keyword and it will show the trends for searches. Your descriptions need to flow appropriately so don't add keywords where it sounds wrong. Avoid- Using too many keywords and using keywords that aren't relevant. Social Media is a huge tool for you and should be one of your priorities. It is a great way to drive traffic to your site. I recommend posting events and specials on your social media sites. You can also help market your advertisers by posting their news. Another great tool is to use social media as a traffic driver. You can offer specials, contests or deals if they subscribe to the site. Partner with an advertiser to offer a free dinner or free appetizer. Avoid- Over posting and posting things not about NightOut. Your business is a local business so you should have your business listed on every local listing site out there. http://getlisted.org/ is a great website to see where you are listed and where you need to get listed. The free listings are sufficient. You do not have to pay extra. Use free press release services online like www.free-press-release.com and pr.com. I also recommend submitting your press release to your local newspapers. They usually are willing to print it in their business section. There are many ways you can work on your traffic online but to complete the circle you need to get out in the community to get known. Go to events, go to marketing groups, hand out your business cards and volunteer with charity events. You can sit at home all day doing things online but you will never grow a successful business without being involved with the community. This is a fun business so get out there and meet new people and spread the word about your business. We are very excited to let everyone know about our new video production and radio advertising profiles. We have seen great success in several market areas. You probably have seen emails from Steve inviting you to webinars. If you missed these just let me know. We have recorded webinars and we have a sales site that you can get a lot more information about it. I believe this will set NightOut even higher then any competition and will be great marketing for your business. Many of you have probably heard about our loyalty program called Prestige Rewards. We launched this program a few months ago and we have renegotiated our terms with the company that hosts this service. We now can offer this program to you with no set up fee. It is a great program for you to offer and it is a great tool for almost any type of business. Let me know if you would like more information. 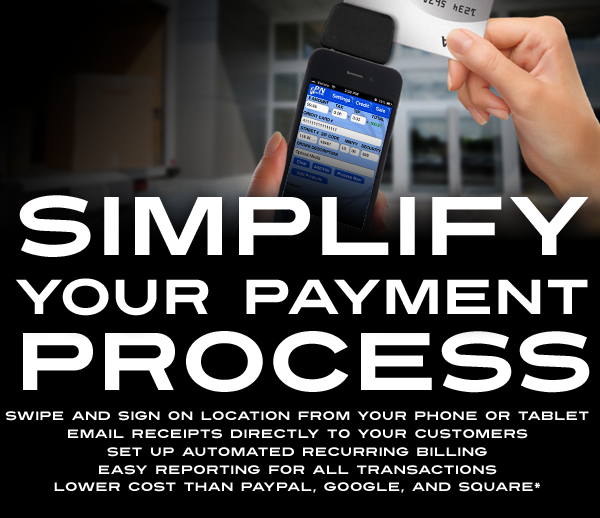 Avid Solutions will save you money with lower transaction fees. Services Proposal and Fee Item Explanation. Get started! Click now to contact Robert Brouwer TODAY! ©2009-2019 Optimal Media Group, LLC. All rights reserved.